You should not be suffering from back / shoulder pain when carrying this work. 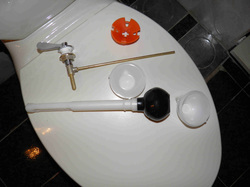 For dismantling the old water tank, please proceed in reverse order of the below pictorial. 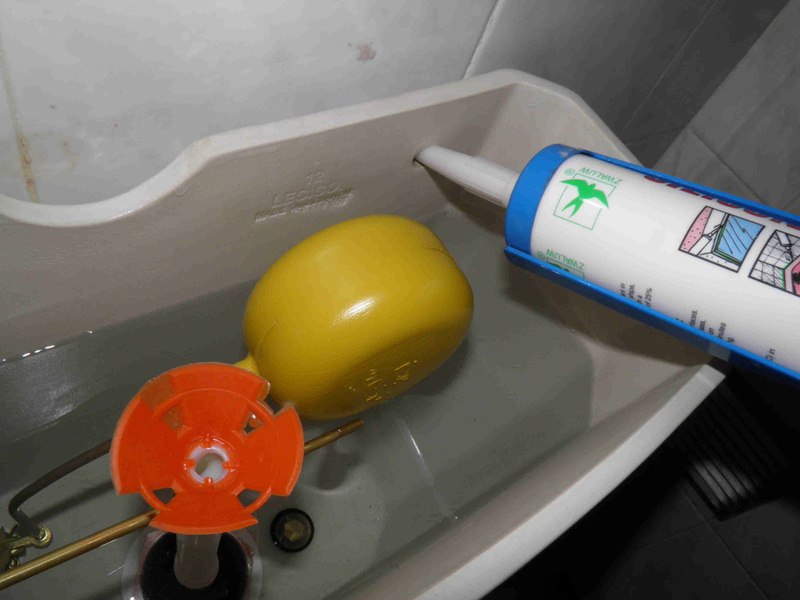 1- You will start first by mounting some accessories on the water tank. 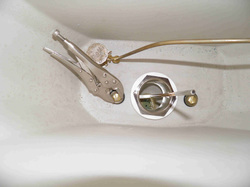 4- Rotate by hand its nut from the other side and tighten well with a flat plumber wrench as shown. 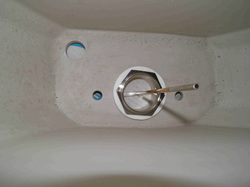 7- Upon fitting both valves, the water tank is ready to be mounted on the toilet. 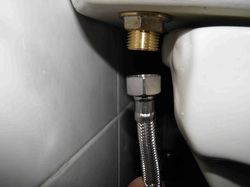 10- Tighten the nuts by hand first from below the toilet. 13- And continue until it reaches the end of the thread and while it is vertical. Make sure the float is well centered. 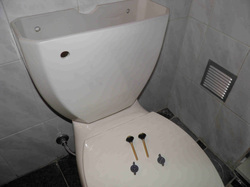 19- Now prepare the remaining accessories consisting of flush valve remaining parts and handle. 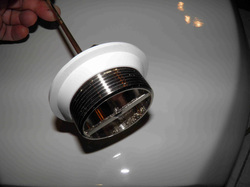 22- Place the handle in its rod while making sure it is almost horizontal and do not tighten it yet. 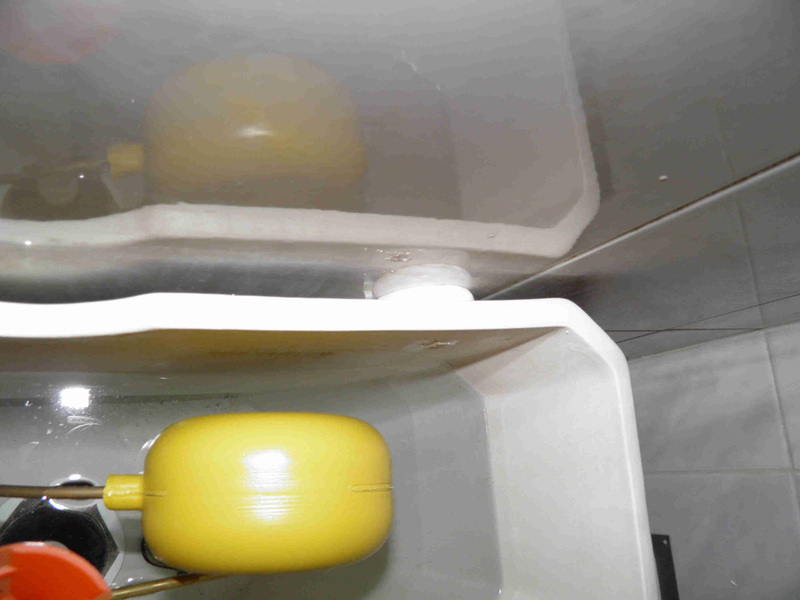 25- Since the previous tank had no fixing screws to the wall, you may use some silicone for a more rigid and durable mount. 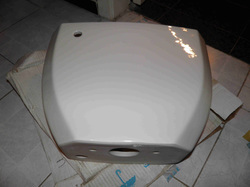 2- Open the accessory box and proceed to the component identification. 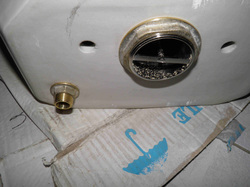 5- The gasket should look squeezed from inside. 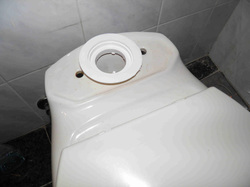 8- Position the gasket between toilet and tank and make sure it is well centered. 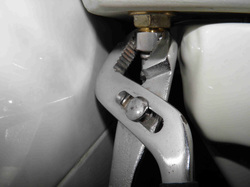 11- Use grip pliers from inside and tighten well the bottom nuts using universal pliers. 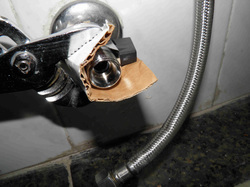 17- ...and screw the valve in using carton board to avoid scratching it. 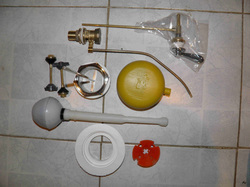 20- Drop the valve ball into its rod. 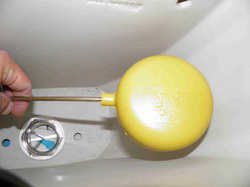 23- Refit the rod while centering it at the same time within the rubber ball holder. 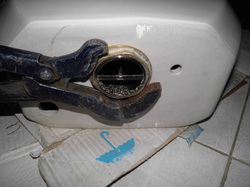 Tighten the handle nut and screws. 26- Squeeze out enough silicone to create a pad between the tank and the wall tiles. 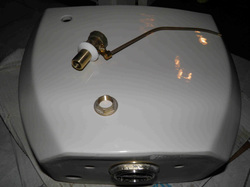 3- Start with the main flush valve and its gasket. 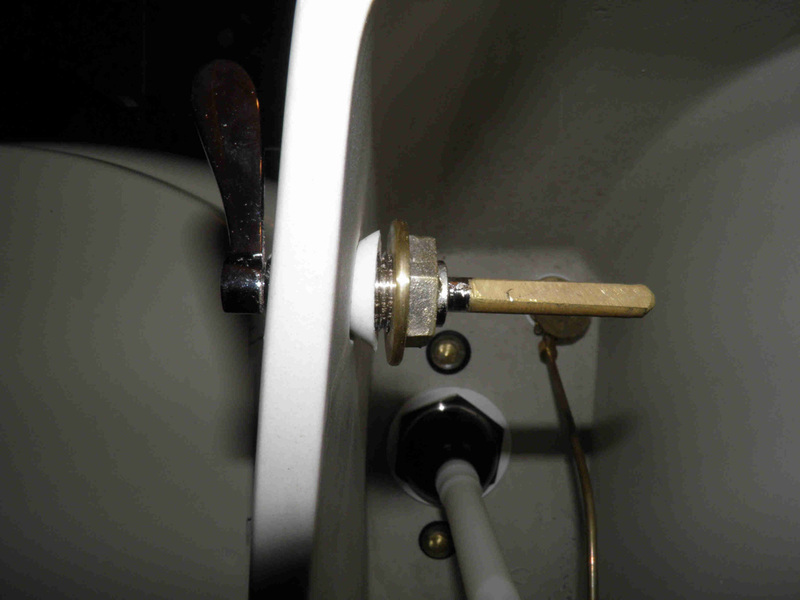 6- Now repeat the same for the water valve. 9- Place the tank on top of it and introduce the mounting screws. 12- Screw in the float. 15- Tighten slightly just enough so that the flexible barrel doesn’t rotate anymore. 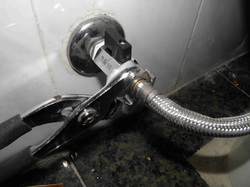 21- Loosen the handle rod screws and remove the rod. 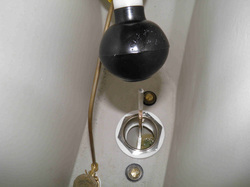 24- Open the water tap and fill the tank. 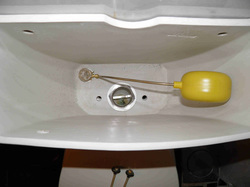 Bend the float rod as needed to adjust the water level. 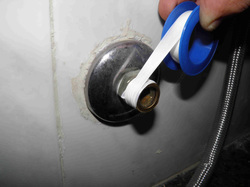 Check for leaks and test it. 27- The job is now complete. The silicone pads will be strong enough within 6 hours.